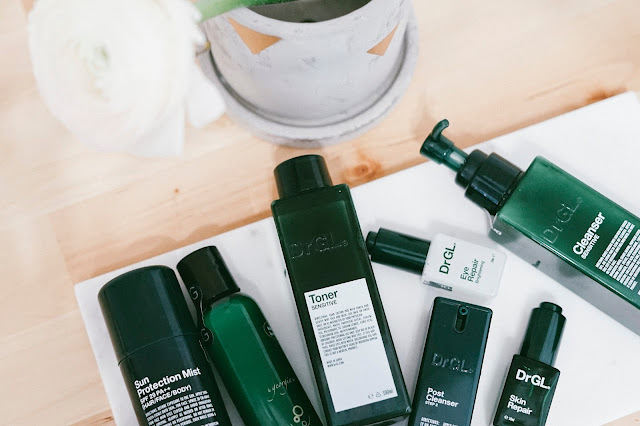 The good thing about investing in DrGL skincare is the ability to properly try out products in deluxe travel size (with very reasonable pricing) before committing. This explains why not all my products shown here are full sized, I’m still trying some out! One of which is DrGL® Cleanser Makeup Remove that feels like a lightweight lotion you wouldn’t think much on, but boy does it effectively removes all my makeup and sunblock. I never had the habit of using makeup removers on makeup-free days, until Dr GL reminded me of the importance of doing so even when only sunblock is applied – this is to prevent clogged pores and ensures that our skincare gets absorbed into our skin without being blocked. 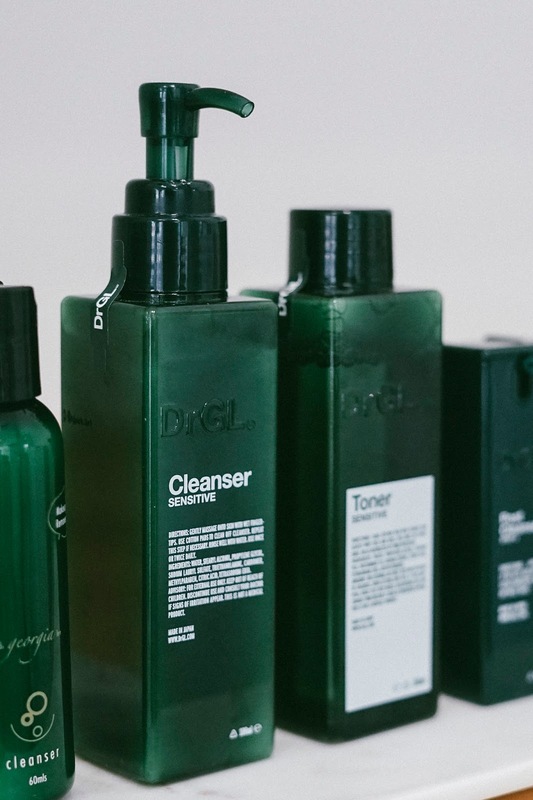 What’s interesting to me is that even DrGL® Cleanser (sensitive) had a milky texture with zero foam. I’ve been so used to cleansing my face with frothy facial wash that the lack of it in my double cleansing steps does felt odd! Luckily, it does an amazing job in removing whatever leftover impurities on my skin while soothing the red areas. I noticed my blotchiness fully went away by the second wash, thank goodness. Next comes my favorite product to soothe my sensitive skin: DrGL® Toner (sensitive). I have quite a variety of toners sitting on my vanity, but I’m definitely thankful to have this for rainy days. 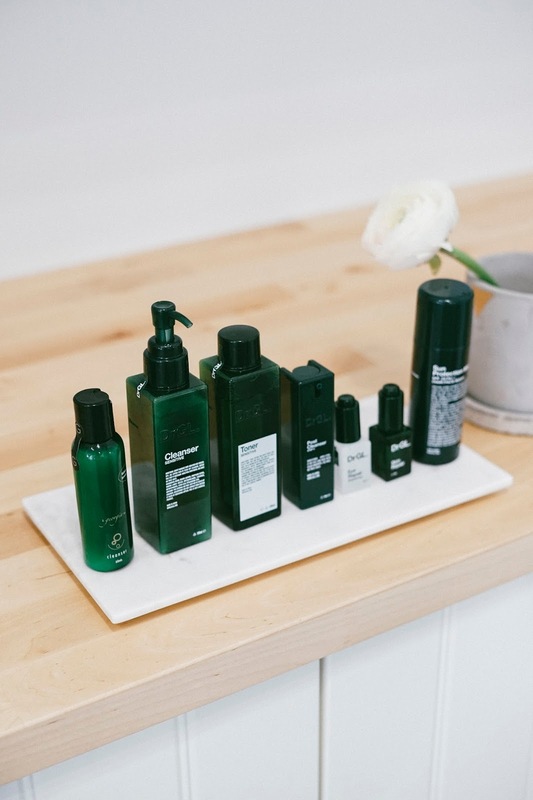 It was the only one I could think of when thinking of solutions due to the formulation without fragrance and alcohol; it protects our skin’s natural barrier while removing the final traces of impurities. Now, let me introduce to you my holy grail! I’m currently on my third bottle of DrGL® Skin Repair with two more backups – encouraged by my husband during the previous Escentials sale :B On lazy and/or sensitive days, I substitute this for my moisturizer and apply it all over my skin as encouraged by the nurses, cuz it helps speed up healing too. On usual days, I only apply it on my problematic skin area cuz every drop is precious. Lol. It helps calm my blemishes while lightening my acne scars (pigmentation in other words) in the most gentle way possible. 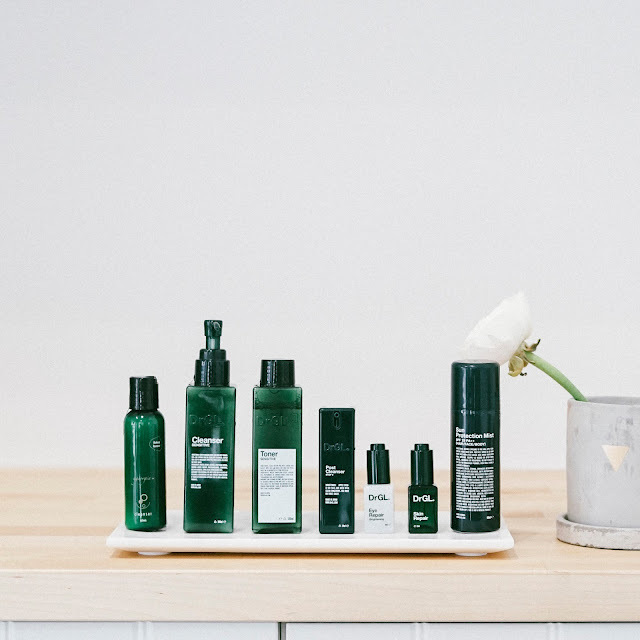 Gone are the days I use the harshest acne care I can find, I’ve now learnt to treat my skin with kindness. It will be funny for me to try the entire DrGL® skincare range without sparing some love for my overworked eyes right? DrGL® Eye Repair Brightening boasts to banish dark circles, reduces puffiness and the look of fine lines – all with a super lightweight gel texture that is instantly absorbed. Hurray to avoiding millia seeds! Now here’s another favorite that also has a backup too… DrGL® Sun Protection Mist SPF29 PA++ for your hair, face and body! “Why hair?”, I asked, and was bemusingly told that some of their customers are balding and need extra protection too 🙂 What attracted me to this was definitely the mist part. It’s perfect on days when I’m lazy, all I got to do is spray it from top to toe and am good to go~ I love how fine the mist is, so the product is quick-drying with no sticky afterfeel; this is especially important for our humid weather, even more so when we’re out for sports and stuff. The scent may need a little bit time to get used to tho.. I personally found it interesting to note that this sun protection mist can be easily washed off with cleanser, sans makeup remover. Apparently Dr GL got it all sorted out for fuss-free cleansing! 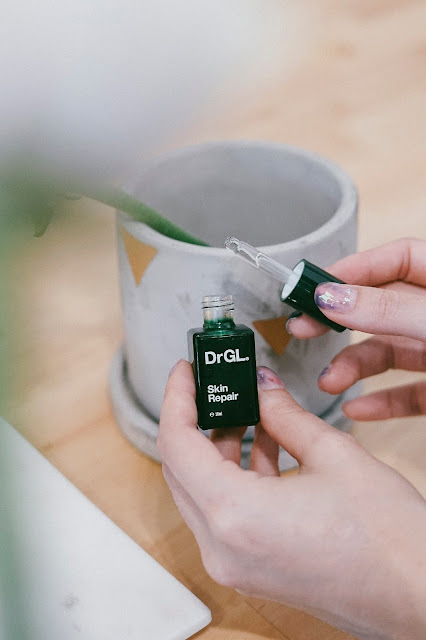 Before I end off my current stash of Dr GL skincare products, I feel the need to recommend another must-have… it’s none other than my DrGL® Skin Supplement Glow. I’m all about the fuss-free lifestyle where less is more, including the supplements I consume. I bought her supplement last year just to try it out after hearing Joey (from Zwedding) raving to me about it, and there’s no return ever since. This potent mix of all natural ingredients, including the famous tomato extracts, not only promotes better skin but better health too! I actually noticed my skin got fairer and brighter, while my acne and menses cramps decreased. To be honest, I can’t quite put a finger to pin point every single little thing that improved, but I do know I’m doing something right when friends started pulling me aside out of curiousity. Yes, this was what happened. Rightfully you should eat twice a day, but I actually cut it down to once a day :p Still can see the efficacy though, so no complains! I personally think it is worth it as my skin becomes brighter/fairer when I consume it and am not as prone to period cramps. However, I can’t really say much about the bumps as I usually only get acne due to my period and stress. I reckon you should try a box first to test it out and see if you like the changes 🙂 For comedones, I actually find that Allies of Skin 1A All Day Mask help reduce them in the long run!